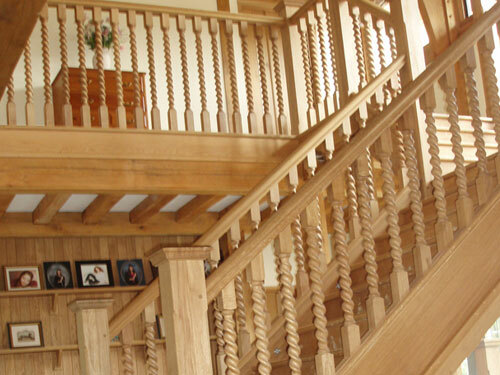 A wide range of designs is available to cater for traditional and contemporary tastes. 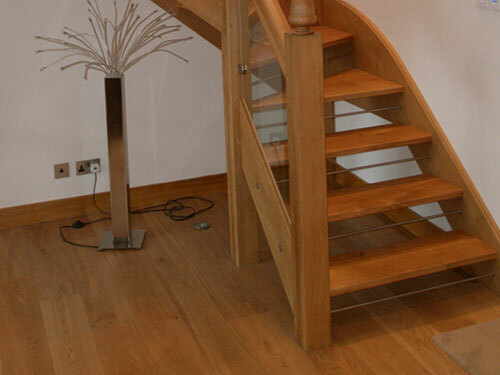 Stairs, stairs manufactured by Jameson Joinery Ltd for corporate or private clients in the UK Sussex including London, Horsham and all the other surrounding areas. 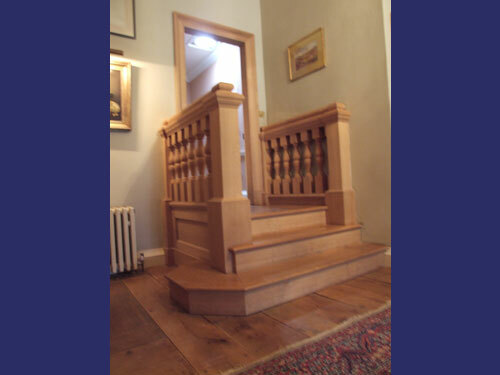 5 foot Wide Oak Staircase with internal steel supporting structure to give clear access on the underside, no supporting newel posts being required. 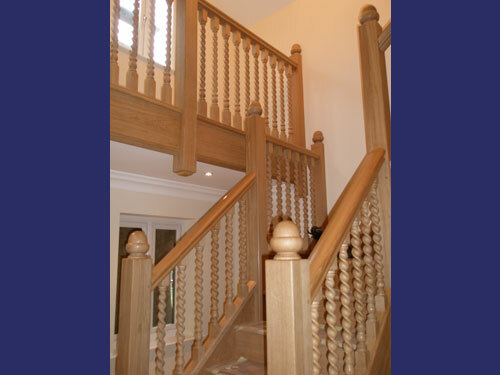 Barley Twist Spindles, 68 mm square. 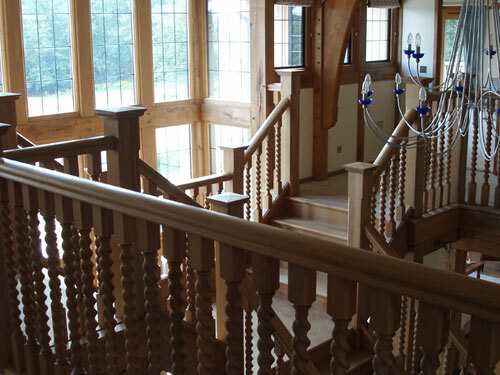 Oak Panelling to the underside of a staircase. 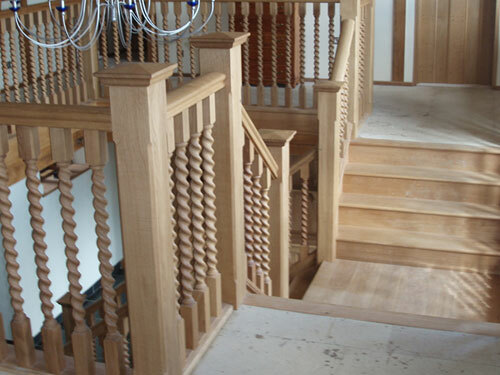 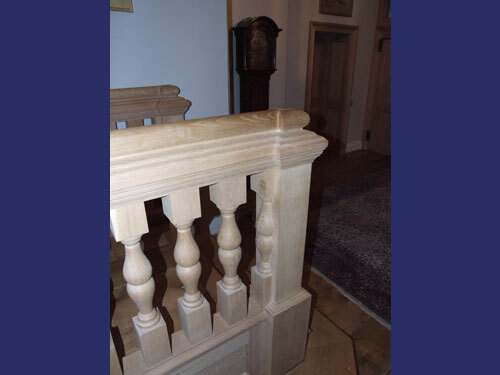 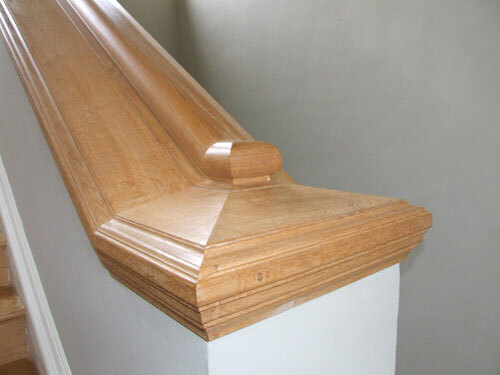 Panelled newel post 180 mm square and 95 mm square barley twist spindles. 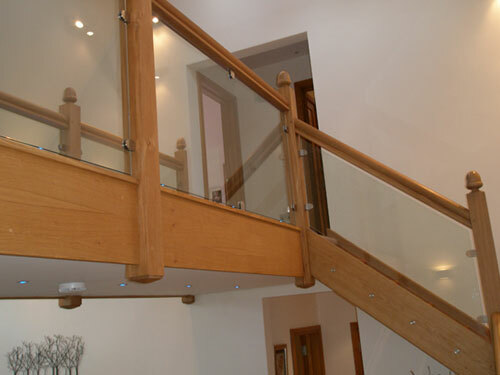 Glazed ballustrading fixed with stainless steel. 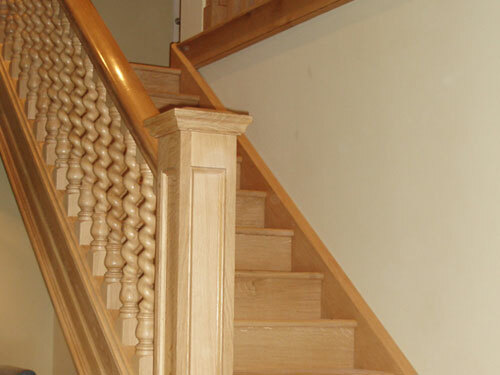 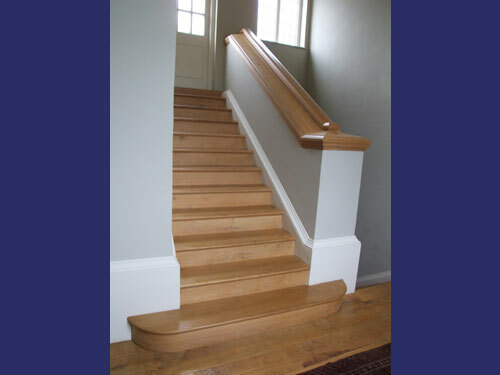 Oak staircase with 450 mm wide handrail. 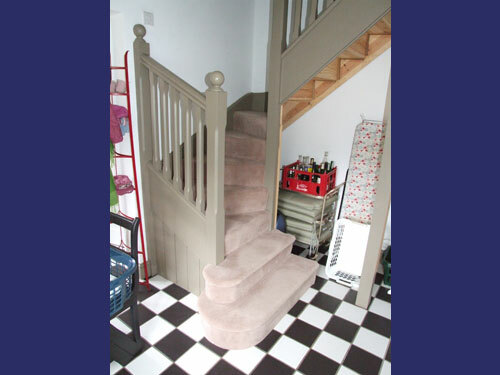 Octagonal step stairs fitted with 220 mm newel posts and 95 mm square spindles. 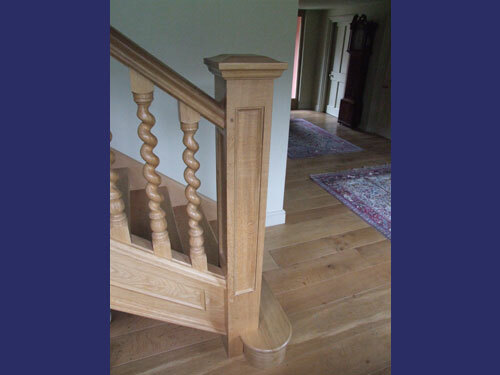 Moulded string and posts with matching wide flooring.